We are committed to providing the very best bottled water to our local sport teams and local charity fundraisers. At Telesis Collision Center, we strive for the best in everything we do. We are also deeply committed to supporting and giving back to our community. That’s why we have thoroughly done our research, in order to provide the very best bottled water to our local sport teams and local charity fundraisers. 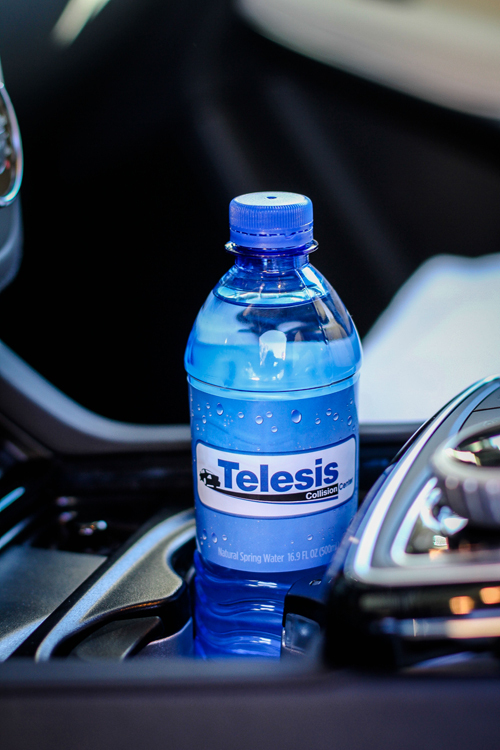 So whether you’re a coach of a local soccer team, or an organizer for a local charity fundraiser, please feel free to ask us for some cases of our Telesis Collision Center Natural Spring Water. We think you’ll agree that the absolute crisp and refreshing taste of our water, is second to none. It gives us great pleasure to know that our young athletes will stay well hydrated in our desert sun, and our charity events will be helped by having water to either sell to, or offer to, their event participants. Telesis Collision Center Natural Spring Water is sourced from protected springs, nestled in the middle of the Ouachita National Forest. Located in Montgomery County, Arkansas, with a population of only 9,000, the area is surrounded by national forests. As a result, the water source does not contain the kind of contaminants often found in other source water. Unlike most other bottled water, which transport water from the spring to bottling site, Telesis Collision Center Natural Spring Water is bottled at the source and contains no chemicals or additives to be used in our bottled water program..
Each day, the Natural Spring Water is rigorously tested to ensure quality and taste. Microbiology, Ozone Concentration, Taste and Turbidity tests are conducted on site throughout the day, with some tests occurring hourly. These tests are also sent to an independent testing laboratory for confirmation. 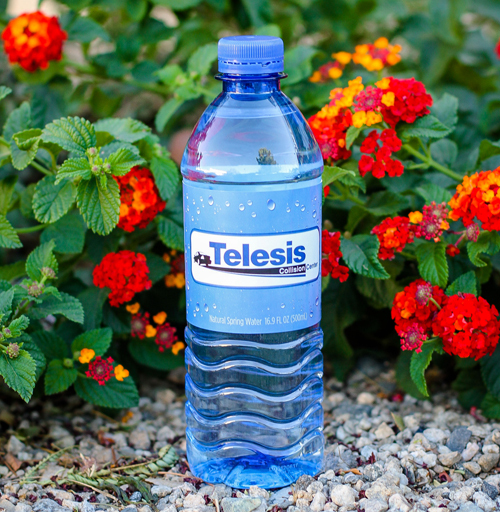 Receive Telesis Collision Center Natural Spring Water for your Next Event!